These are from our 2 dwarfs (winterwhites probably hybrids). The eco world trade habitat and the Savic plaza. Wat I like from the Plaza is the big front door, I wish the top was easier to take of. Although I don't really like cages with bars, I do like this one. I'm thinking I'm gonna change some things with the next cleaning, maybe make a differen lid. 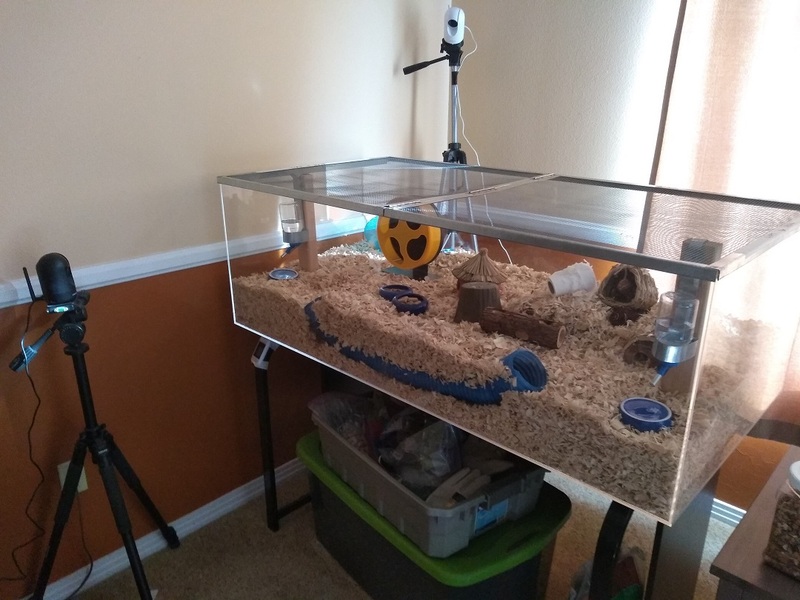 I luv my other cage to very much, it would only be close to perfect if it had a front door something, maybe one day I can try to make gliding doors like a terrarium has. Last edited by souffle; 01-19-2019 at 03:54 PM. That’s a buried tunnel to the right if it isn’t clear. Just thinking the "Lets see your cages" thread needed a bit of a revival! Lots of new people asking about cage set ups. For anyone new - the old thread had loads of pictures but when Photobucket went under, they stopped displaying so a new one was started. It can help give other people ideas to show some of your set ups. I particularly would like to see Cypher's and SKB's set ups on here! And anyone else who was on the old thread - it helps to see certain cages in use as well. I agree, completely forgot about this & it can be really useful when cages are in one thread. I do think the no comments allowed probably discouraged people even though it does keep the thread a bit tidyer. This was my setup I used when I took a trip to the Philippines and China for a while. A hamster was one of the few pets which I didn't feel guilty to travel but only if I made it safe and comfortable for him. Two high quality water bottles for guaranteed water, with someone visiting a few times a week and cameras to monitor online. Last edited by quisp65; 01-18-2019 at 09:17 AM. I'd almost forgotten this thread too tbh, I think most of my cages are somewhere in the "Lets see your cages" threads somewhere, I did think I might do a thread to keep them together for future reference maybe but I'll add Miíre's cage here now. First shows the basic structures without the substrate.